Concepting offers a radical new approach to brands, their development and communication. It is one of the most important new theories in branding and communications of recent times and is brought to life in this inspiring and practical book, written by the innovator and leading proponent of Concepting. A must-read for all those involved in marketing management, brand research and innovation, new product development, advertising and marketing communications. Over 30.000 copies sold and translated into 4 languages. The theory of concepting is based on the conviction that companies in many sectors are reaping the last benefits of traditional branding and marketing communications. Twenty or thirty years ago, these could provide enormous competitive advantage; today, this is less and less the case when companies are using the very same marketing and research techniques. Nike, Apple, Benetton, Caterpillar, Ben & Jerry’s and Virgin have paved the way for a new approach to branding. These so-called concept brands have been the inspiration for new, recently developed concept brands like Innocent, Bertoli, Rituals and many more. The way they express themselves may be different, but they do have something in common in the way they were created. They are based on strong consumer insights and imagination. They are about attracting consumers with a story, a philosophy, an attitude, or a unique way of looking at the world. Concepting offers companies a completely fresh way of developing brands. Instead of using traditional product proposition, markets segmentation and target groups, it starts with discovering a mentality concept for the brand These brand concepts actually mean something to the consumers in terms of proposition, evoking sympathy and identification brand, and thus improving customer loyalty. Concept brands are the future for those wishing to capture their markets in this increasingly converging age and Concepting is an inspiring and highly effective way to do this. 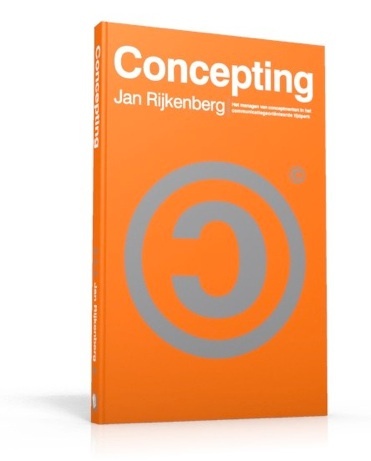 Jan Rijkenberg has been working in the worlds of marketing and advertising since 1979. He is co-founder of BSUR Group, with offices in Amsterdam and Shanghai, a group of agencies that advises international companies and provides consultative services for the development and communication of new concept brands. 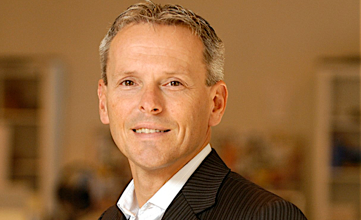 Jan also teaches concepting and communication strategies for postgraduate courses at Groningen University, Tias Business School of Tilburg University, Delft University of Technology and is a regular speaker at marketing conferences around the globe. He has published widely on trends in concept innovation, marketing and communication. In his other book ‘Corporate Matters’ a collection of his most inspiring columns are collected and deal with the remarkable observations in the world of corporate branding and identities. © 2012, Jan Rijkenberg, All rights reserved.